Grey Moon Druzy Necklace. Geode Necklace. Druzy Jewelry. Stone Necklace. 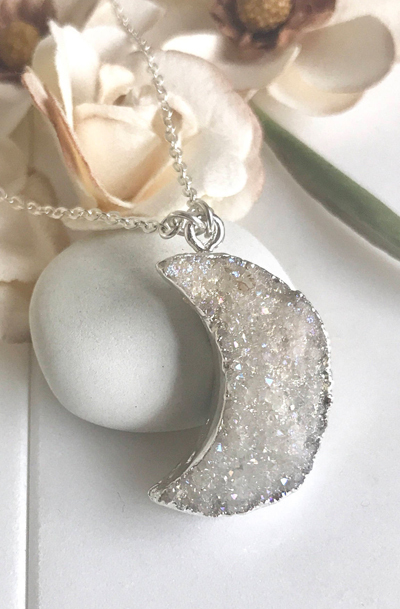 Silver Moon Druzy Necklace. Crystal Necklace. Gift. The natural druzy is just over an inch long. The chain is about 16.5-17" and is silver plated.